In the most serious military crisis in Europe since the end of World War II, the Western-backed Ukrainian regime that took power in Kiev in a fascist-led putsch a week ago put its military on high alert yesterday. It also began calling up its reserve forces, totaling around 1 million men, threatening war with Russia. The day before, the upper house of the Russian parliament had unanimously passed a bill authorizing the deployment of Russian forces to Crimea, a majority Russian-speaking region of Ukraine where Russia has a major naval base at Sevastopol. Officials in Kiev charged that over the weekend, Russia sent up to 6,000 troops to Crimea to bolster local authorities against Kiev. The tensions between Moscow and Kiev directly raise the risk of a clash between Russia and the NATO powers backing Kiev. While Russian President Vladimir Putin agreed yesterday in a phone call with German Chancellor Angela Merkel to keep open “bilateral and multilateral” communications, Russian exchanges with Washington were very tense. 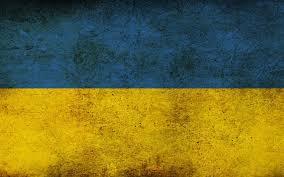 US President Barack Obama made a 90-minute phone call to Putin to discuss Ukraine on Saturday. Obama demanded that Russian troops return to their bases in the Crimea, denounced Russian policy as a “violation of Ukrainian sovereignty” and a “breach of international law,” and threatened severe consequences for US-Russian relations. Putin brushed aside Obama’s demands, calling the Ukraine situation “extraordinary.” He pointed out that far-right elements backed by Kiev and the Western powers threaten “the lives and health of Russian citizens and their many compatriots” in Ukraine. Russian troops, Cossacks, pro-Russian local inhabitants, and Putin’s “Night Wolves” biker gang are reportedly working together to fortify the land bridge between Crimea and the rest of Ukraine and hold it against potential offensives by the Ukrainian military. Russian officials bluntly dismissed US criticisms as hypocritical, noting that Washington has violated countries’ sovereignty by invading countries like Iraq and Afghanistan. Russian Foreign Ministry sources responded to US National Security Adviser Susan Rice’s comment that Russia was committing a “grave mistake” in sending troops to Ukraine by advising the United States itself not to use force. The reactionary Kremlin oligarchy cannot offer any progressive solution to the escalating tensions in Ukraine, which can only be halted by a political mobilization of the working class against imperialism and the post-Soviet capitalist oligarchies inside the ex-USSR. However, it is the imperialist powers that bear central responsibility for the military escalation in Ukraine and the country’s accelerating downward spiral towards war. Driven by social contradictions for which it has no solution, Kiev is stoking confrontations with Russia and ethnic Russians in order to mobilize its tiny social base—fascists like the Svoboda party or the Right Sector militia who praise the Holocaust and, identifying the USSR with Russia, combine hysterical anti-communism with anti-Russian hatred. These developments point to the disastrous impact of the dissolution of the USSR. Under conditions where the working class has been shut out of political life due to the reactionary role of Stalinism, the vilest fascist forces have come to the fore, throwing the entire region open to imperialist intrigue and war. The Kiev regime has prepared laws to strip Russian of its status as an official language and sent thugs to beat up officials in pro-Russian areas it fears may break away from Ukraine. US and European imperialism, having backed a putsch by far-right forces, are watching as the authority of its far-right proxy regime over large swathes of Ukraine begins to disintegrate. Protests of tens of thousands of people took place this weekend across Ukraine’s eastern and southern industrial heartlands, which, like the Crimean Peninsula, include a greater number of Russian speakers. In Kharkov 20,000 protesters demonstrated, carrying Russian flags and storming local government offices, throwing out officials sent by Kiev. In Donetsk—the capital of the Donbass region, where a referendum on independence from Kiev is now scheduled, as in the Crimea—10,000 protesters rallied and distributed leaflets calling on citizens to defy Kiev. Another 20,000 anti-Kiev protesters marched in Odessa, and smaller demonstrations took place in Mariupol, Melitopol, and Yevpatoria. Only days after being appointed to head the Ukrainian navy, Admiral Dennis Berezovsky turned against the Kiev authorities and went over to pro-Russian authorities in Crimea, together with the flagship of the Ukrainian fleet, the frigate Hetman Sahaydachniy. The main danger under these conditions is that the imperialist powers will escalate the crisis into a major war, either by stoking conflict inside Ukraine or by directly intervening themselves. Writing in the Guardian, Dmitri Trenin of the Carnegie Moscow Center think tank pointed to the danger of a great-power war. Noting that “direct confrontation between Russian and Ukrainian forces will draw in the United States one way or another,” he compared a likely conflict today to the 2008 war in the ex-Soviet republic of Georgia in the South Caucasus—in which Moscow beat off an assault on Russian peacekeepers by US-backed Georgian forces.